Jeffrey Grudko, Attorney at Law. Your Local Medford, NJ, Burlington County and South Jersey Lawyer. Attorney Jeffrey Grudko is a longtime Burlington County resident. Obtaining his degree from Rutgers Law School in 1979, he has practiced law in South Jersey his entire career. His legal career began as a law clerk to the Honorable Peter J. Divine, Jr., judge of the New Jersey Superior Court, Appellate Division. He later spent four years as a Deputy Attorney General of the State of New Jersey, litigating in jury and non-jury trials. 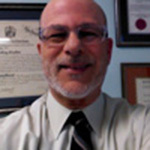 In 1984, Mr. Grudko moved to the private sector and eventually began his own practice in 2001, where he still helps the citizens of Medford, NJ, and Burlington County. When it comes to legal representation in Burlington County, New Jersey, few compare to the extensive experience of attorney Jeffrey Grudko. An attorney with such experience in New Jersey can be a valuable asset in many legal matters. If you have been charged with a crime including traffic violations, have been injured by a negligent party or need professional real estate document preparation, call the Law Office of Jeffrey Grudko today. Regardless of your legal issue, your initial consultation is always free.